Jim has over 25 years of human resource management experience across multiple business sectors including manufacturing, engineering & construction, employee benefits and business services. Prior to joining Jubilant Cadista, Jim held vice president level positions with companies in plastics manufacturing and outsourced supply chain management services. His experience spans all areas of human resources management and payroll services. 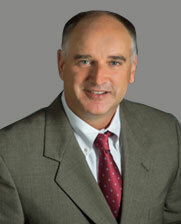 Jim earned a bachelor’s degree in Psychology from Widener University and an MBA from Villanova University. He joined Jubilant Cadista in March, 2014.